How can I study Latin on my own? What good widely available courses (e.g. textbooks, online classes) are there for people who wish to learn (or continue to learn) Latin on their own? What are their benefits and drawbacks? Please give only one course per answer. If you have many courses to suggest, give multiple answers—but read the other answers to avoid duplicating answers. This way people can vote on individual courses, causing the best ones to rise up and the worst ones to sink down, so that we can easily find the most loved courses. If there are many courses listed in an answer, it's hard to link the answer score to the quality of each listed course. Broad resource questions like this are generally not allowed on this site. The community chooses a select few to avoid an overflow of questions of this kind. If you have an opinion on what resource questions should be asked next, post a suggestion in this meta post or vote on the existing ones. The ones to be asked will be chosen from that list according to their number of votes. If you have ideas about listing resources on this site in general, you can contribute to this meta discussion. In particular, if you would like to ask a similar resource request question, do not just ask it, but post a suggestion in the mentioned meta post instead. @JoelDerfner Instead of requesting one resource per question, it is also possible to turn an answer into a community wiki where everyone can contribute. See my suggestion on Meta. I recommend Hans Ørberg's Lingua Latīna per sē illustrāta series. Its main books are volume I, Familia Rōmāna, at the end of which the careful reader has a pretty fair grasp of Latin grammar, and volume II, Rōma Æterna, which takes readers from "textbook Latin" to "real Latin." These two texts also have associated workbooks and teachers' guides. Ørberg uses the "natural method"—that is, everything is in Latin, and new words and ideas are explained using words and ideas that have already been introduced. There are several supplemental books in the series, including Cæsar, Cicero, Sallust, Vergil, Plautus, and so on. There are also a lot of resources scattered around the web for people using the series, since it's fairly popular. If you're working on your own and you've never studied Latin before, Ørberg probably isn't the place to start, though the Lingua Latīna College Companion can fill in some of the gaps. If you have a teacher, though, or if you're returning after a hiatus, chances are you'll find Ørberg's books both useful and fun. “Teach yourself Latin” in the Teach Yourself series is very good. I have used it to teach my students, but you can use it on your own. What I like about it is that it has genuine Roman texts right from the beginning, and at that very good ones (especially poetry). I am learning from John F. Collins' A Primer of Ecclesiastical Latin, since I am most interested in Church Latin and more than one person recommended it to me. There is an answer key for the drills and exercises. I typically alternate between doing a unit in Collins and trying to decode some piece of 'real' Church Latin that I use daily (currently Little Office of the Blessed Virgin Mary, Baronius Press) with the assistance of Collins, on-line dictionaries, and (when I get really stuck) latin.stackexchange.com. If you are fluent in Finnish, I strongly recommend the book series Clavis Latina I–III by Maija-Leena Kallela and Erkki Palmén. 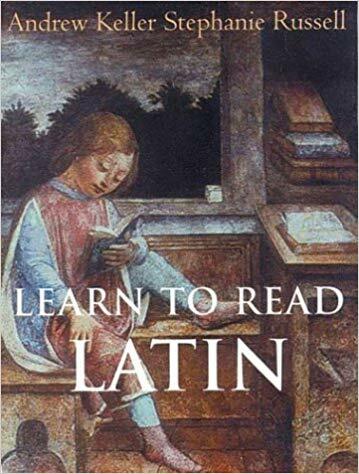 I started learning Latin from these books, and it worked well. 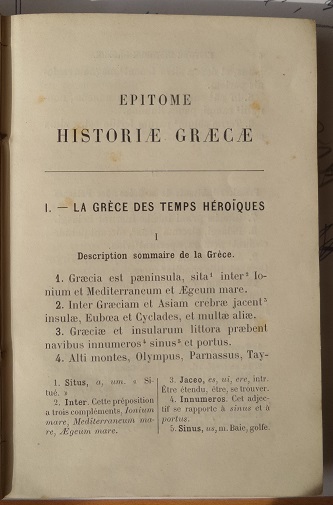 I used the books in Latin courses given by a teacher, but they also work well for self-study; I have learned a lot of content not covered in the courses by simply reading the chapters and doing the exercises. This series is the best (in my opinion), newest and most widely available option for a Finn. It is my understanding that whenever a book is used to teach elementary Latin in Finland, this is the series used. I am not aware of any online material or freely available lecture notes in Finnish. And even if you manage to find some, changes are they are not as good as Clavis Latina. Each of the three books comes as a pair, one called Textus et cultura (texts and culture) and Grammatica et exercitia (grammar and exercises). The books are a good stand-alone pack, but for more depth I suggest acquiring Ars Grammatica (Latinan kielioppi) by Tuomo Pekkanen and the dictionary Suomi–latina–suomi-sanakirja by Reijo Pitkäranta. There is also a continuation to the series under the name Ianua Latina by Kallela and Palmén, which is a single book. The whole pack is 9 books and can cost quite a lot. I suggest first getting both parts of Clavis Latina I and then deciding how to proceed. There will probably be things that you cannot figure out on your own. If you don't know a Latinist you could turn to, you can ask questions at this site. It is possible to ask in Finnish as well if you don't feel comfortable enough using English or Latin. Some simple and easily readable (with a growing difficulty) Epitomes were written for schools in the 19th century in France. 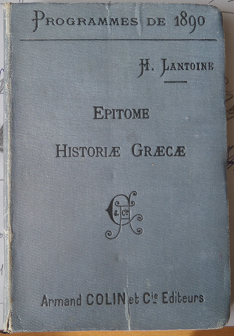 As an example, I own a copy of the Epitome Historæ Græcæ by Lantoine (written for 11 year old pupils). First pages are easy to understand, and the difficulty grow little by little. There is a simple lexicon at the end. Of course, there are different difficulties. 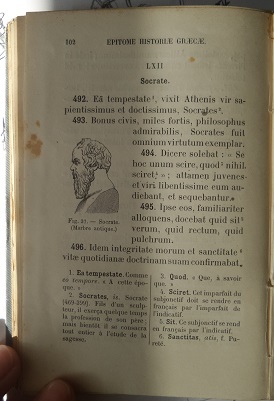 The well-known De viris illustribus by Abbot Lhomond can also be used to learn Latin. does not currently list anything with openings. However, it gives you an email address for inquiries, which is how I found out about the class I'm taking from him now, which is an intermediate class based on the prayers in the old Latin missal. He has also offered classes for beginners using Orberg's Lingua Latina. Pepino seems to love his subject and obviously knows it deeply. He is a gifted and skilled teacher who has mastered the technique of teaching online and is one of the very best instructors I have ever had the pleasure of learning from. The one I used when I first began to study in 7th grade was Latin for the New Millenium. I found it to be very organized and cumulative, introducing finite chunks of syntax and grammar rules in each chapter and not getting too long-winded and confusing in its explanations (which I've noticed can be the case in a lot of the older, more famous textbooks). You should be able to work through it pretty quickly - I think there are two volumes. For children, Minimus, here, here and here. According to wikipedia "these books espouse some of the principles of the direct method of language teaching, ie refraining from using the learners' native language and using only the target language"
This isn't a start-from-Mārcus-puer-est resource, but Daniel Pettersson's website Latīnitium is designed to be a resource for people teaching themselves Latin on their own. It has articles in English and in Latin, really well-done videos and a podcast in Latin, and links to lots of other resources helpful for auto-didacts. He's among the most accomplished Latin speakers in the world, and I find the site incredibly helpful. Latīnitium isn't the only Latin podcast: There's also Quōmodo Dīcitur, put out by Justin Slocum Bailey, Jason Slanga, and Gus Grissom, and Sermō Rædārius, by Alexandro Conti; I know of a few others in the works as well, which I'll come back and add when they come out. This looks interesting. Are you sure you want to delete it? Podcasts are useful, especially when the Finnish broadcasting company is exterminating its Latin news. In French, Assimil's "Le Latin sans peine" here and here. According to Wikipedia, Assimil's method is about "teaching foreign languages through the listening of records or tapes and the reading of a book with the text that you are listening to, one side native language, one side foreign language. This method is focused on learning whole sentences, for an organic learning of the grammar. It begins with a long passive phase of only reading and listening, and eventually adds active exercises. Most books contain around 100 lessons, with the active phase starting on Lesson 50. The word "Assimil" comes from assimilation." LatinStudy is an online learning community that's run as an 'old school' listserv (i.e., everything is done over email). At any time, there are several beginners' groups working through Wheelock's Latin and other textbooks, such as the Lingua Latina series. In addition, there are dozens of reading groups dedicated to a wide range of authors/works from many periods: currently, Catullus, Caesar, Tibullus, Livy, Pliny the Younger, Martial, Suetonius, Apuleius, Augustine, Beeson's A primer of Medieval Latin, and Bede, among others. I myself am currently leading a group that's working through Sallust's Bellum Catilinae and Bellum Iugurthinum, and I plan shortly to propose a new group to read either Seneca the Younger's tragedies or Statius's epics. Second, and most importantly, I think, there isn't a 'teacher' who corrects and gives feedback about assignments. The way this works is: group members submit their answers for an assignment to the group's leader, who collates all the responses (including, usually, his or her own) and then sends them back to the group via the listserv. The group leaders are just other list members and basically function as mere coordinators. In most cases, they aren't experts in the author/work that they're leading a group for; nor are they necessarily any more advanced than the other group members in terms of Latin ability – they're just the ones who came up with the idea for the group and/or volunteered to coordinate it. In addition, no sort of answer key is provided. Much of the learning is meant to take place by comparing one's own responses to those of the other group members to try to divine the correct answer/translation and determine why one's responses are more or less correct or appropriate than the rest. Questions can also be submitted to the list for discussion. Therefore, to make this work, one has to be highly self-motivated. Although I admit that I wouldn't have wanted to learn the basics of Latin this way, I've participated in several of the more advanced groups over the years and have found them all extremely rewarding: 'Bradley's Arnold' Latin Prose Composition, Pliny the Younger's letters, Tacitus's Germania and Agricola, Horace's Odes, Catullus, Vergil's Aeneid, Sallust. Especially now that I'm not in academia, these groups help me maintain and even expand my Latin skills, and encourage me to expose myself to new authors and/or works (or revisit old favorites), at a pace that fits my schedule. I think of the groups that I participate in as my little weekly doses of Latin. Another plus is that new groups form all the time, and anyone can start a group. So if you see a gap, you can fill it yourself. The list's membership is large and diverse enough that most proposed groups end up finding enough participants to make proceeding worth while. I took a Latin Course at College about 4 years ago. 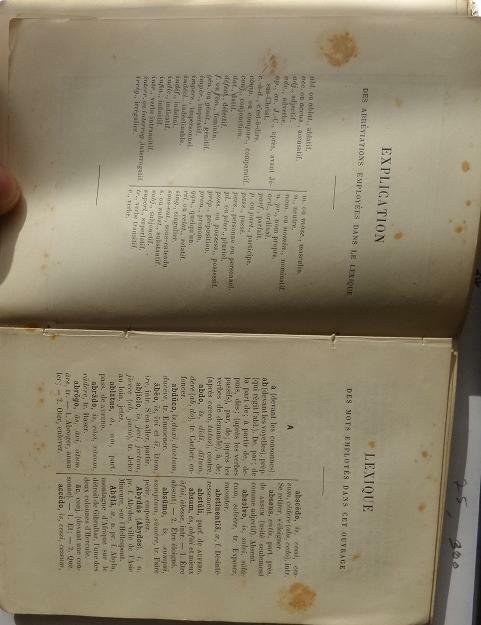 The recommended textbook was Learn to Read Latin by Keller and Russell. The book is thorough yet friendly. The practical exercises in the companion book are great because a lot of the material is from the Classics. Free online resources/established books for learning Latin?